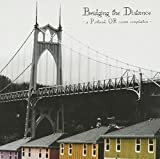 Bridging the Distance: A Portland, Oregon Covers Compilation is a covers album that brings together two of my favorite things: quality music and a good cause. With tracks from the Decemberists, Spoon's Britt Daniel, the Thermals, the Minders, and others, the album's proceeds will benefit p:ear, an organization that "builds positive relationships with homeless and transitional youth, ages 15 to 23, through education, art and recreation to affirm personal worth and create more meaningful and healthier lives." This week also sees the release of the new Nine Inch Nails album,Year Zero, as well as two remastered discs (with bonus material) from singer-songwriter Michael Penn, Mr. Hollywood, Jr. 1947 and Palms and Runes: Best of Michael Penn. I can strongly recommend several other releases this week, including Elk City's New Believers; 65daysofstatic's single, Don't Go Down to Sorrow; Cat Empire's self-titled EP; Dolly Varden's The Panic Bell; Dead Meadow's Howls from the Hills; Priestbird's In Your Time; and Superdrag's Changin' Tires on the Road to Ruin. Have I left anything worthwhile off this list? What new releases are you picking up this week?